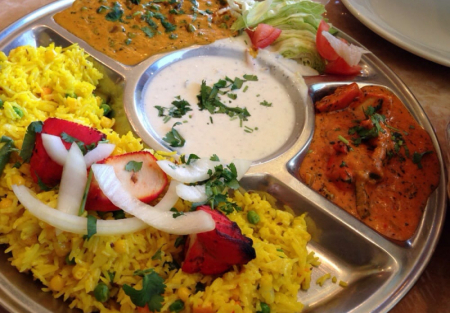 Nestled in the beautiful and growing Santa Clarita Valley, this authentic Indian Restaurant sits facing the main street with great visibility. The patio is a focal point that quickly grabs the attention of passersby. The interior is adorned with statues and eye catching décor throughout. Seating is comfortable and spaced throughout the dining area. Booths and tables can be easily arranged to accommodate large parties. This location currently serves a Buffet at Lunch with 15 Full Size Serving Pans, giving customer many delicious, savory options to choose from. The Buffet is served from 11AM - 3PM Mon-Fri and is a popular among locals. Dinner specials are offered, as well, which continues the influx of customers into the evening. Seller states he is netting $5000-$6000 per month, SellingRestaurants has not verified these earnings and Buyer is to do their own due diligence. Seller is motivated to sell so that he may return to India.